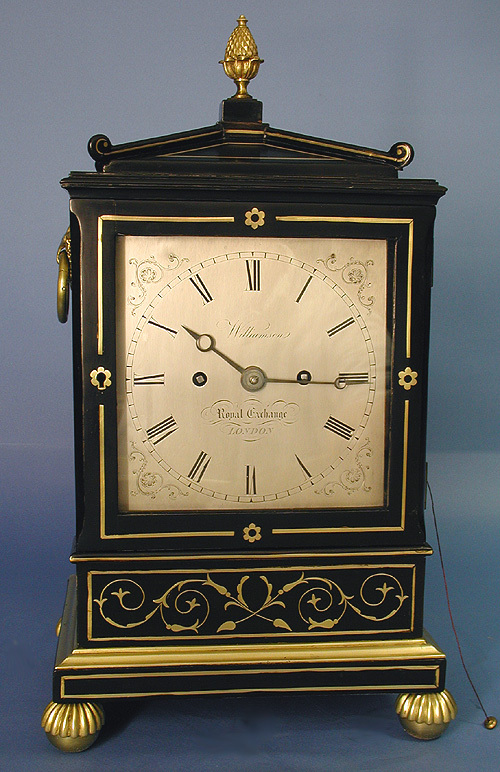 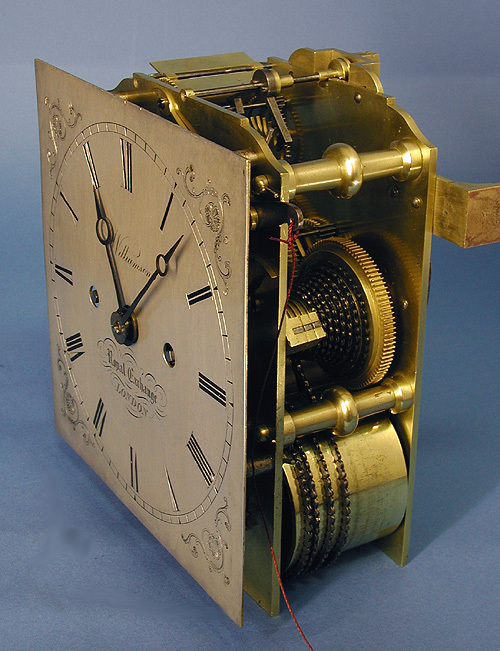 The silvered engraved dial has Roman numerals for the hours, engraved floral spandrels to the corners, steel-cut Breguet-style hands and is signed, ‘Williamson, Royal Exchange, London’. 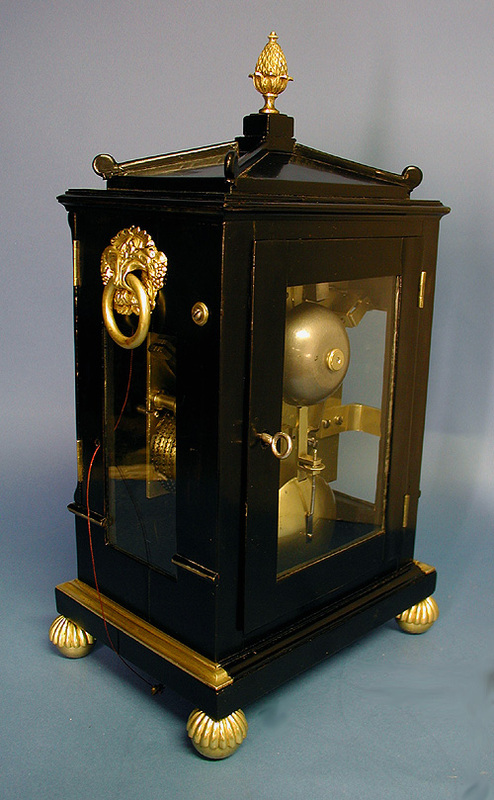 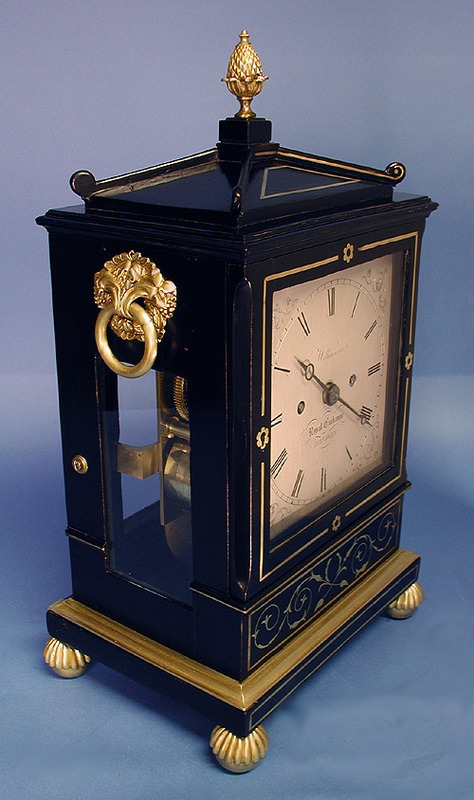 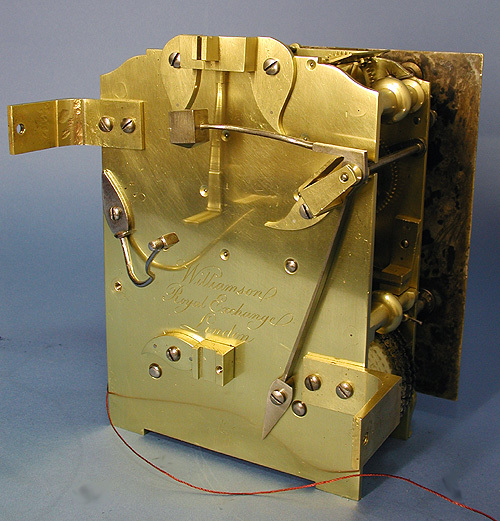 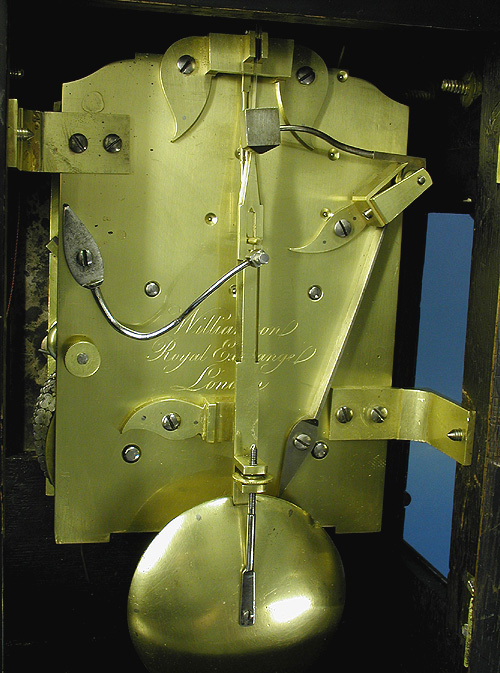 The heavy eight-day double-fusee time and strike movement has a pendulum suspended by steel spring with a heavy adjustable brass bound bob, shaped shoulders, is engraved, ‘Williamson, Royal Exchange, London’ and strikes on a bell. 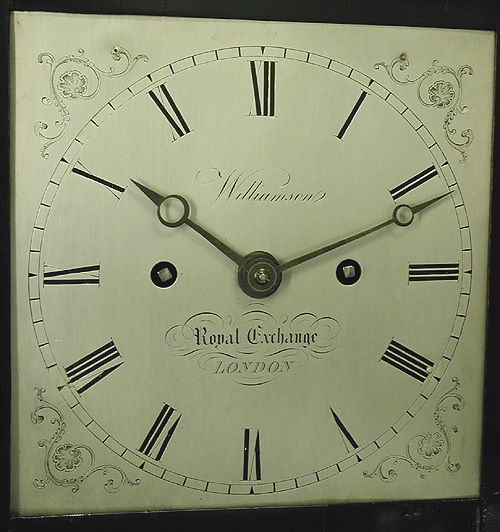 Christopher Williamson is listed as working at 1 Royal Exchange in 1847.